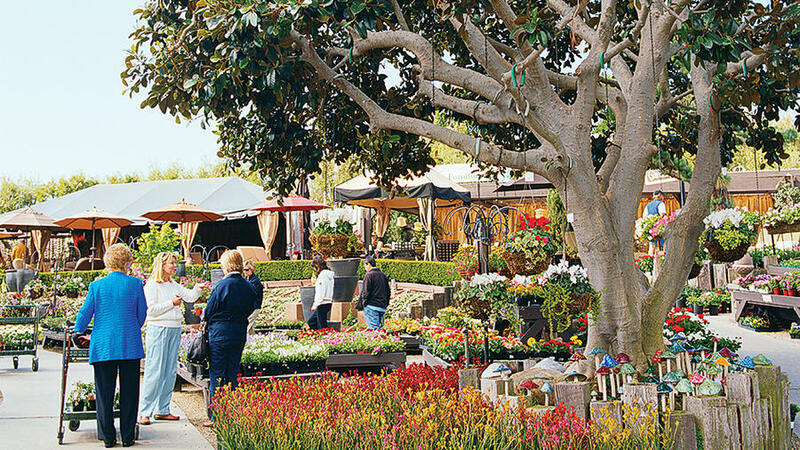 Roger’s Gardens is a 7-acre dream for green thumbs and outdoor-living enthusiasts. 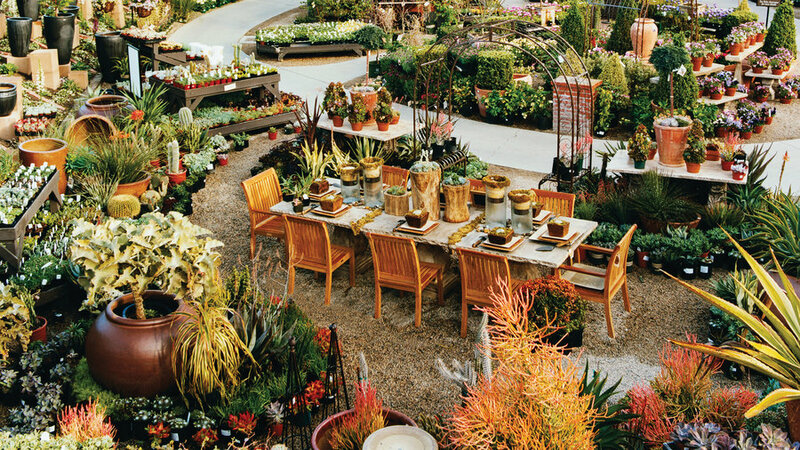 Besides plants, pots, and tools, Roger’s carries a huge selection of modern and classic Mediterranean containers, patio furniture, fountains, and garden accessories. 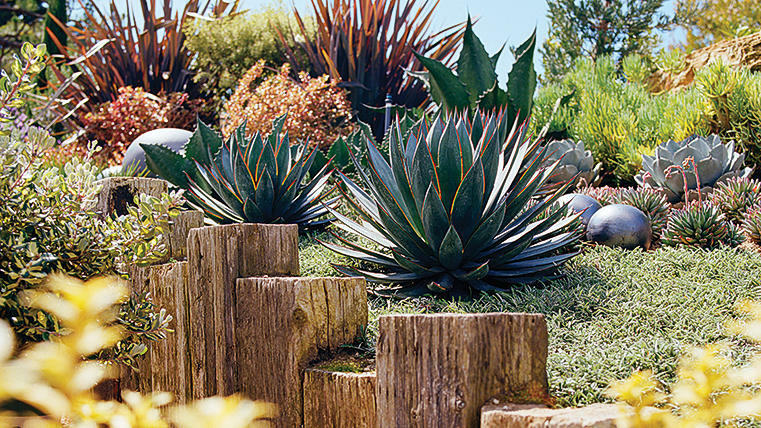 Roger’s demonstration gardens offer great ideas to take home, including a planting that highlights agaves. The pair in front is ‘Blue Glow’. Drought-tolerant plants from Mediterranean climates are a Roger’s Gardens specialty. Seen here, assembled underneath a rustyleaf fig tree, is a collection of ‘Kanga’ dwarf kangaroo paw (Anigozanthos). Succulents are Roger’s top sellers, and the nursery makes sure there are plenty to choose from. 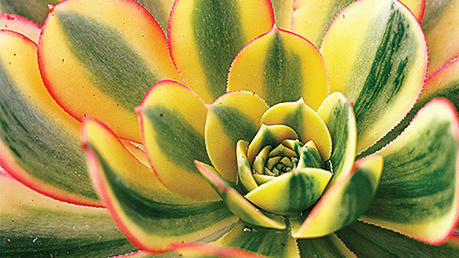 Shown here is Aeonium ‘Sunburst’. Pearson’s Gardens Vietnamese cilantro (rau ram), Japanese parsley (mitsuba), and hundreds of other herbs, plus heirloom tomatoes, wild salad greens, and more. Closed Sun; 1150 Beverly Dr., Vista; 760/726-0717.